When it comes to manufacturing premium quality cars, nothing can beat the good reputation of Japanese car companies. Aside from using high-end technology, the Japanese are known for their great sense of workmanship. Each Japanese car is made not just with innovative tools and equipment, but with a heart for craftsmanship as well. As premium Japanese car models and makes flood car auctions by the week, the number of prospect buyers from Tanzania continue to escalate because of two factors: quality and cost-efficiency. Rather than buying brand new vehicles that are higher in price, it is definitely wiser to invest in slightly used vehicles sold at a lower price range. If you are planning to buy a used car from Tanzania, you have to first research about your country’s car import rules and regulations so you can avoid unpleasant surprises along the way. For instance, when it comes to importing a used or a brand new car from Japan, you have to first compute your import taxes before clicking that “buy now” button. Below is a tool you can use to calculate car import taxes imposed by Tanzania Revenue Authority. Just fill in all the necessary information about the car you are planning to import, and your tax will automatically pop out. Sounds great? Let’s get started! Thanks to our plug-in, you can save valuable time, effort and energy in computing your car import taxes. However, if you still want to know how your car import taxes are computed, we have prepared a guide below. CIF (Cost Insurance Freight): The sum of FOB, freight, insurance and inspection fees. NOTE: In Tanzania, all imported vehicles must be insured and must undergo pre-shipment inspection. Otherwise, you will be penalized by the Tanzanian government. Pre-shipment inspection is also critical for all car buyers since it checks the car’s overall condition. If any part of the vehicle is not at par with the Tanzanian car regulations, the car must be fixed prior to shipment. Disclaimer: the figures presented on this article do not represent the total cost and taxes of any vehicular model and make in our listing. For example, if you click on 2008 AT Toyota Passo KGC10 on our listing, you can see the car specifications on our page. Let’s list down the car details. After collecting important data on the vehicle, record the vehicle’s CIF by choosing a port of delivery or a country of destination. 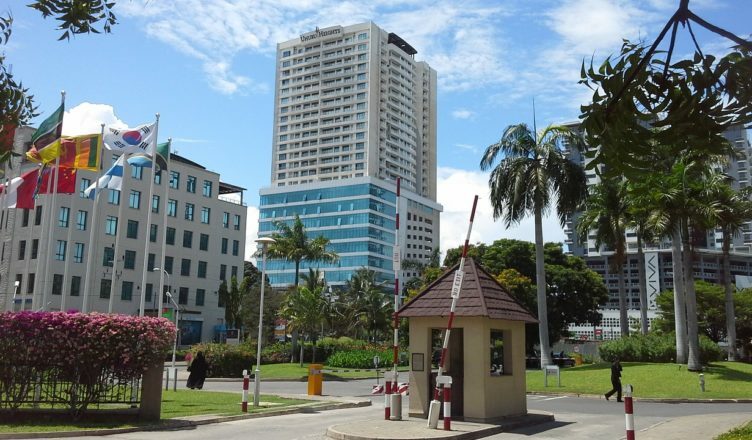 At CarUsed.Jp, we deliver pre-purchased vehicles at Dar Es Salaam, Tanzania. Let’s say the CIF of your chosen vehicle is $2,000. Most of the prices you’ll see on online sites are in US dollars (USD). Since exchange rates change from time to time, it is always best that you use a calculator that can convert US dollars (USD) to Tanzanian Shillings (TZS). In the like manner, since you are going to make payments and transactions via your local bank, you must also visit your bank to learn about their current exchange rate. Remember, exchange rates vary from one bank to another. Instead of relying on ballpark figures, talk to your bank representative so you can get a more accurate conversion. In our example, let’s assume that 1 USD = 2,000 TZS. Hence, the CIF worth 2,000 USD amounts to 4,000,000 TZS. Once you click on our online calculator, you will see several required fields. Fill in the fields based on the information you collected above so you can see the overall car import tax you’d need to pay once you import your chosen vehicle. NOTE: Taxation rules on vehicles 8 years old and above apply to trucks and light cars, but not to machineries such as earth-moving equipment like bulldozers, grader and agricultural equipment. Trucks and light cars 8 years old and above attract an excise tax of 20%. In Tanzania, the port cost you need to pay depends on the vehicle model and make. If I want to order the vehicle I just order though my local bank,or I contact the local agents. Hello. Thank you for the information. But have been reading it and still don’t understand how to calculate the total price of my car ! Could anybody tells me how much will I pay(approximately) in total to import this car?